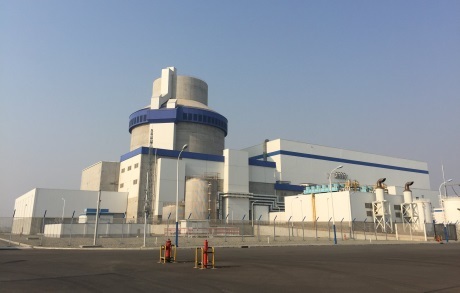 The start of power generation by two AP1000 reactors under construction in China moved a step closer yesterday with first criticality being achieved at Sanmen 1 and the loading of fuel beginning at Haiyang 1. Both units are expected to start up by the end of this year, becoming the first operating AP1000 reactors. Unit 1 of the Sanmen nuclear power plant in China's Zhejiang province attained first criticality - a sustained chain reaction - at 2.09am yesterday, State Nuclear Power Technology Corporation announced. Westinghouse President and CEO José Gutiérrez said, "Today we completed the final major milestone before commercial operation for Westinghouse's AP1000 nuclear power plant technology. We are one step closer to delivering the world's first AP1000 plant to our customer and the world - with our customers, we will provide our customers in China with safe, reliable and clean energy from Sanmen 1." The next stage in the commissioning of Sanmen 1 will be synchronisation to the electricity grid. This will be followed by gradual power ascension testing until all testing is safely and successfully completed at 100% power. 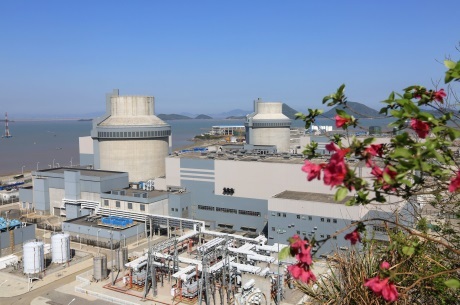 Westinghouse said, "Once plant operations begin at Sanmen 1, it will be the first AP1000 nuclear power plant in operation, offering innovative passive safety system technology, multiple layers of defence and advanced controls for unequalled reliability and safety." In September 2007, Westinghouse and its partner the Shaw Group received authorisation to construct four AP1000 units in China: two at Sanmen and two more at Haiyang in Shandong province. Construction of Sanmen 1 began in April 2009, while first concrete for Sanmen 2 was poured in December 2009. Construction of Haiyang 1 and 2 began in September 2009 and June 2010, respectively. Hot testing of Sanmen 1 was completed in June 2017. The loading of fuel assemblies into its core began on 25 April following the issuance of a permit by the country's nuclear regulator, the National Nuclear Safety Administration (NNSA). Hot tests at Sanmen 2 were completed in January. That unit is also expected to begin operating by the end of this year. Westinghouse also announced that loading of the 157 fuel assemblies into the core of Haiyang 1 began at 7.36pm yesterday. The company said the unit recently successfully completed the necessary testing and regulatory reviews conducted by the NNSA. "Haiyang unit 1 met all the criteria, confirming the capability of Westinghouse's AP1000 technology," it said. Haiyang 1 expected to begin operating by the end of this year, with Haiyang 2 expected to start up in 2019. "The lessons learned and resources shared between Sanmen and Haiyang throughout all phases of construction and start-up have made tremendous improvements in terms of quality and execution, which will benefit future AP1000 fleets," said Gavin Liu, Westinghouse's president for the Asia Region. "We will continue to work side by side with our Chinese customers and ensure the success of the remaining testing." Four AP1000 reactors were also being built in the USA - two each at Vogtle and Summer. However, construction of the two Summer units was suspended last August.